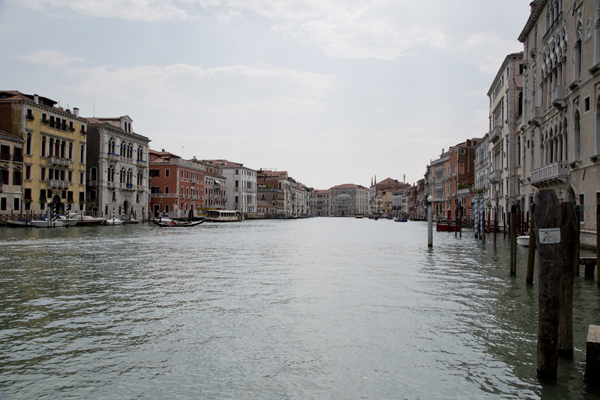 Italian journalist Luigi Barzini Jr. once described Venice as “undoubtedly the most beautiful city built by man.” While beauty is subjective, there is no doubt that Venice is one of the world’s most unique cities. 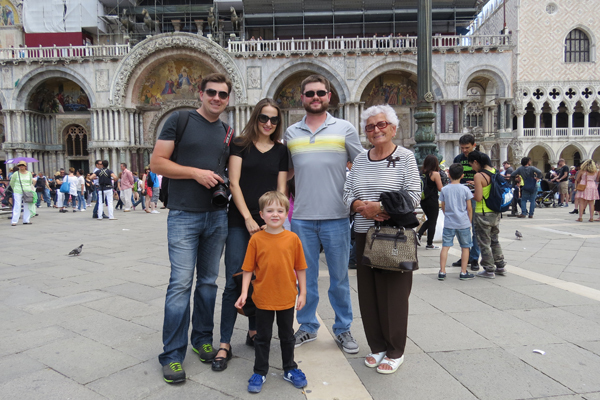 After getting off to a bit of a rocky start (meaning that we got lost… twice) we made it to Venice, or Venezia as it is known to the locals. 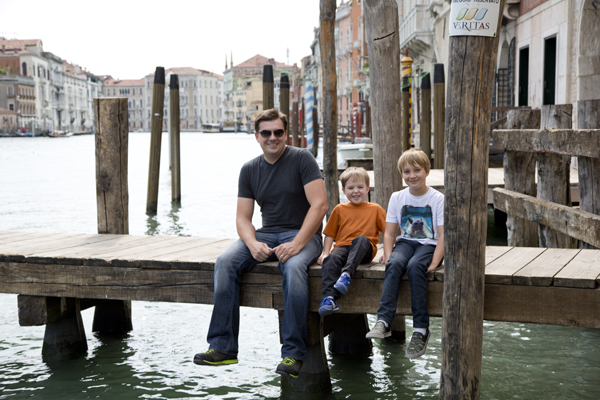 Venice is the world’s only pedestrian city, which meant that we had to leave our car behind. 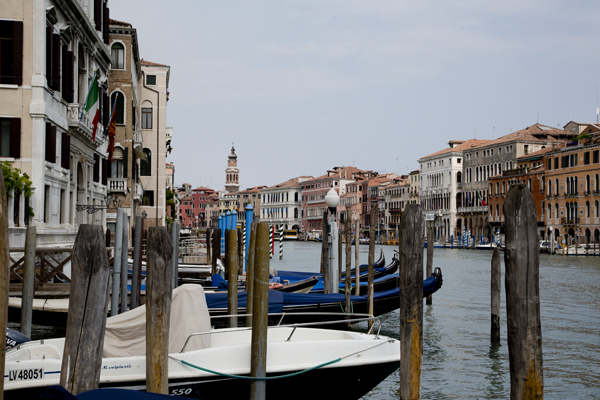 The lack of vehicles is a huge part of Venice’s appeal. There is something inherently romantic about being forced to walk everywhere (especially when everyone else is forced to do the same). 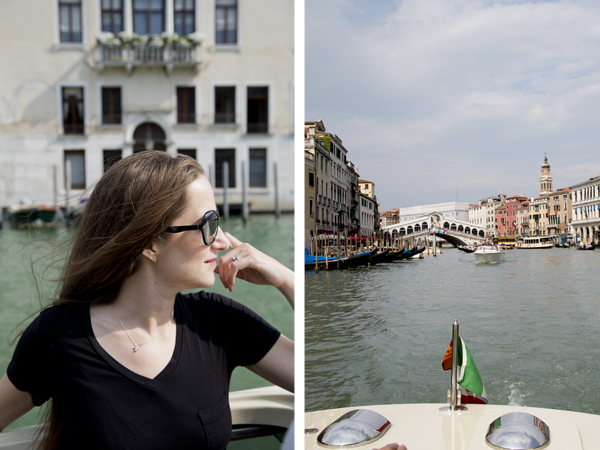 We hitched a ride on an (extremely) overcrowded Vaparetto (water bus) that took us down the Grand Canal to Piazza San Marco (Saint Mark’s Square). 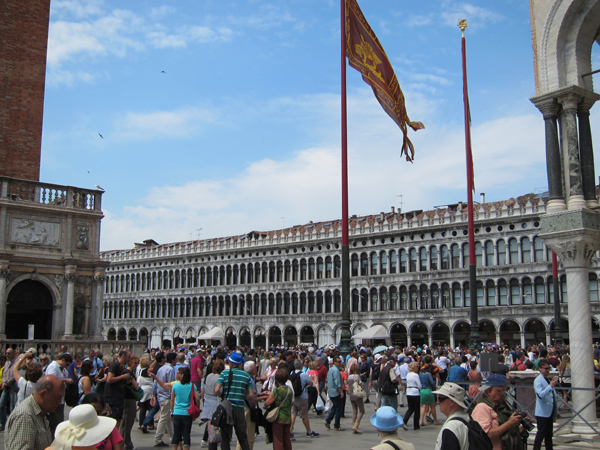 If we thought the Vaparetto was crowded, we were in for quite a shock upon reaching the square, where it was so congested you could hardly move. I have a slight (read: huge) crowd aversion and I could feel my chest tightening in the onset of a panic attack. David, knowing how I react in this sort of situation, led the way out of the throngs of people where we could regroup and decide where we wanted to go. 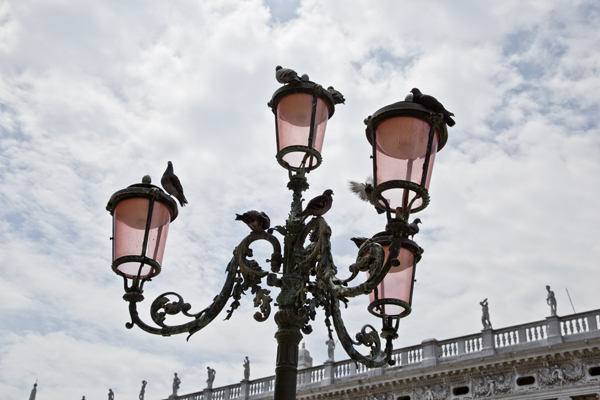 We expected Venice to be busy, but we hadn’t anticipated that we would be there on a national holiday which would render the city much more congested than usual. 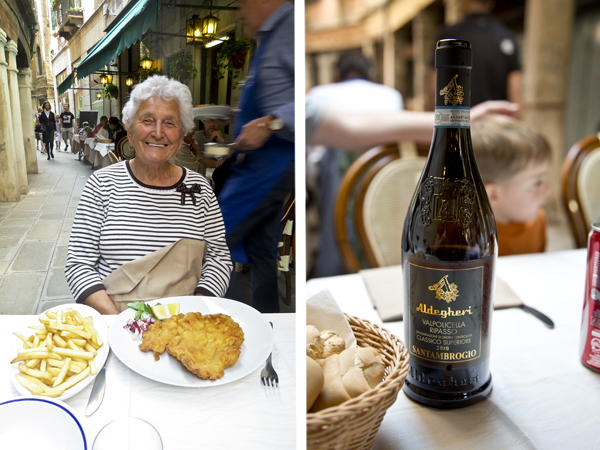 We were tired, hungry and weary of the throngs of people descending upon the streets of the “Floating City.” We knew that our best option would be to get away from the main thoroughfare and find somewhere quiet to grab a bite to eat. David started wandering down some alleyways until he came upon a local gentleman out for a stroll. 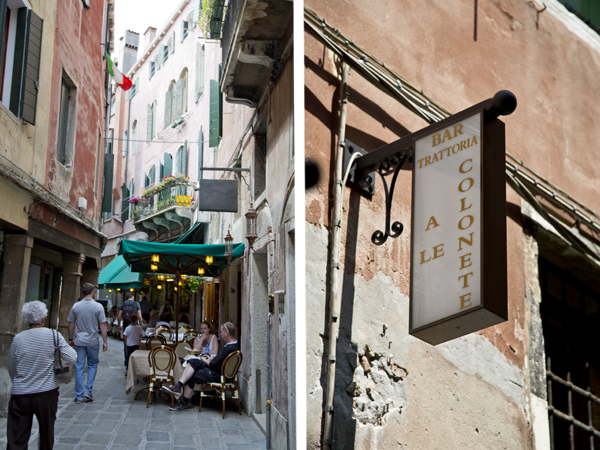 David asked (in very broken Italian) if there were any restaurants nearby and the man directed us further down the alley to Bar Trattoria A Le Colonete. 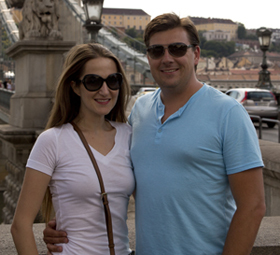 Away from the masses, we started to really appreciate the city. 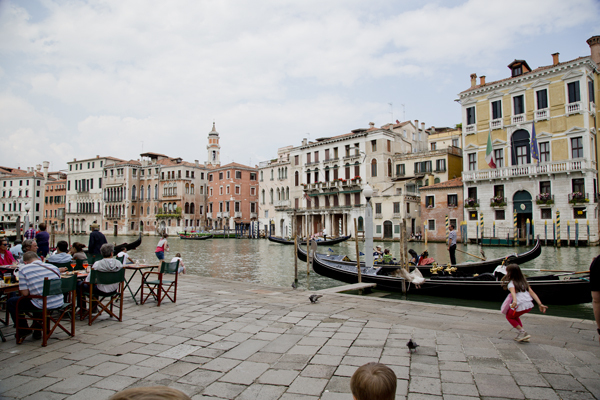 Our restaurant was quite popular with the locals and many gondoliers stopped by for a quick bite before making their way back to their gondolas. 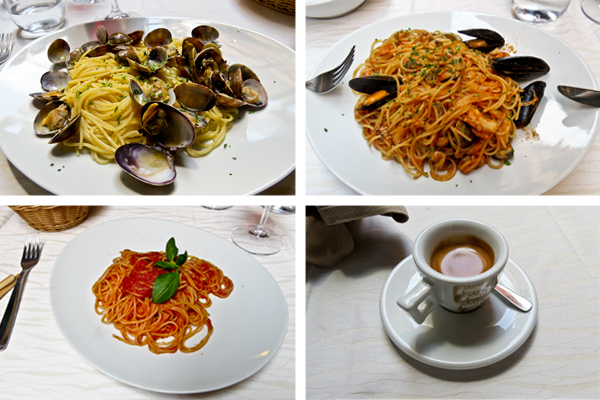 We had a lovely lunch followed by a delicious gelato at a local gelateria that had been recommended by our waiter. It was one of the best gelatos we had on our entire Italian trip and we seriously consumed an unreasonable amount of gelato on this journey – I’m actually amazed my pants still fit. Wandering down an alley in search of food. 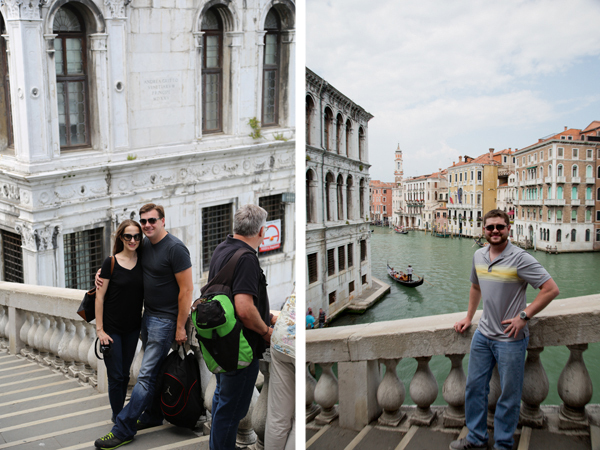 After experiencing the crowds in Piazza San Marco, we were a little leery of hitting up another tourist hotspot, but there was no way I was going to Venice without seeing the famed Rialto Bridge, so we made our way down alleyways and passages to our destination. 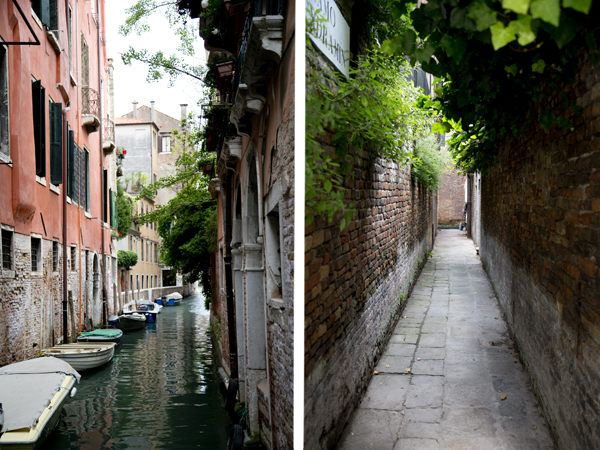 Walking through Venice seems a bit daunting at first because the streets all look very similar, but with the assistance of a map, it is actually very easy to navigate. 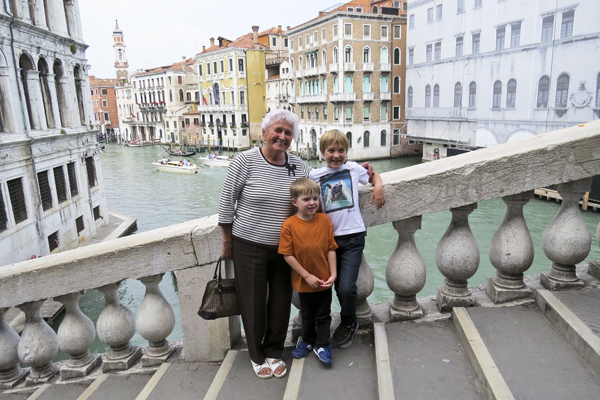 We took our requisite Rialto Bridge photos and then spent a while perusing the Rialto Market before deciding to return to exploring the lesser known passages of Venice. 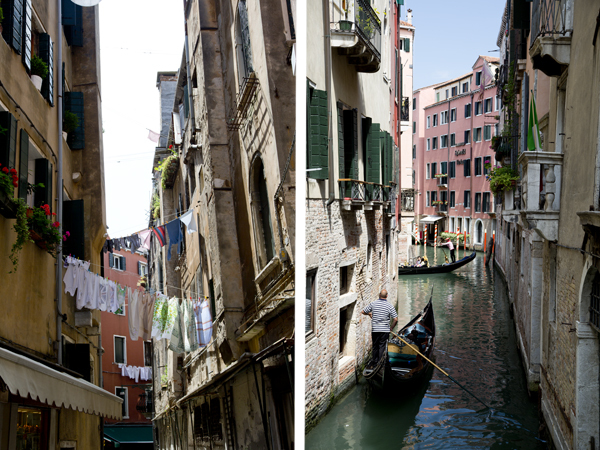 The boys were especially enamored with all of the narrow pathways littered with freshly washed linens hanging from clotheslines and shuttered windows overflowing with potted flowers. 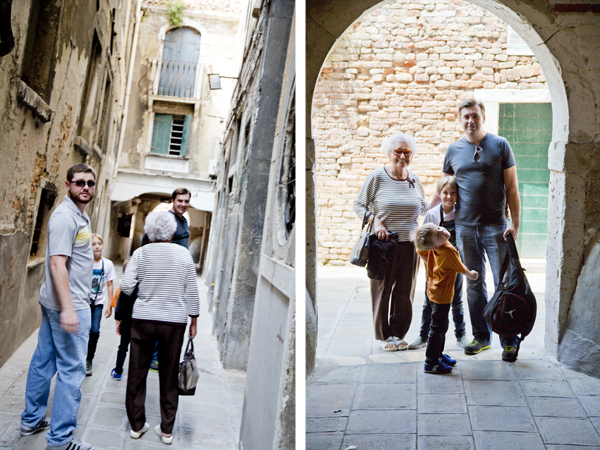 We discovered hidden courtyards and fountains and more churches than we could count. 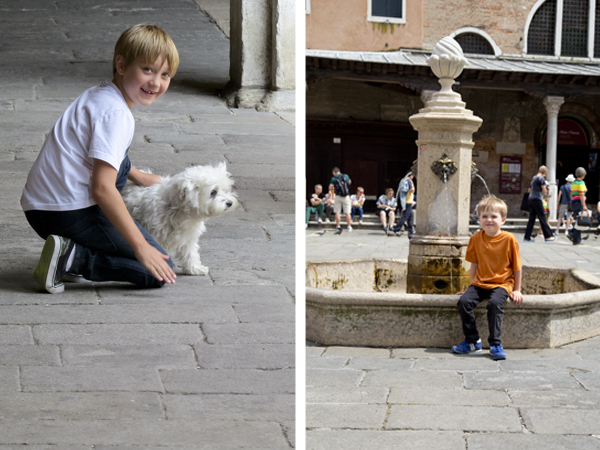 Our youngest made a game of spotting cats (they are everywhere) and our oldest made friends with several small dogs he found wandering on the streets (there was one small white dog in particular that he spent a great deal of time trying to convince us to take home). 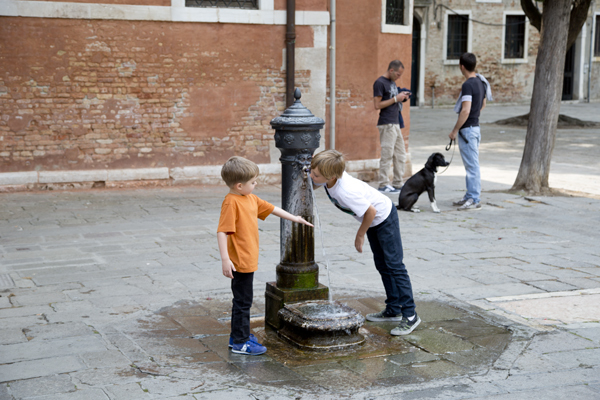 I shocked David when I not only gave my permission to the boys to drink from one of the fountains but actually joined them (I had done my research and knew that it was perfectly safe). Since I had given it my blessing, everyone else joined in as well. You know what? The water coming out of the fountains tastes better than anything you can buy in a bottle. The boys drinking from the fountain. 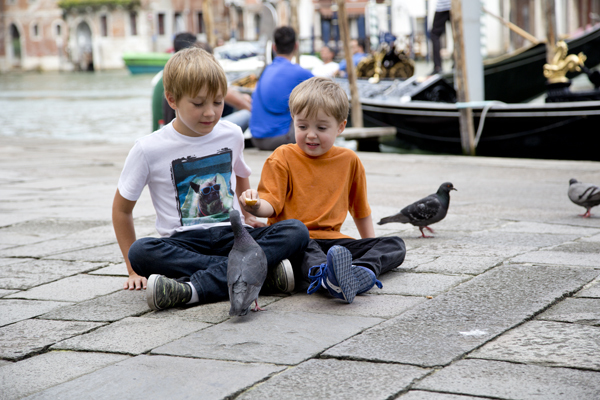 The boys were also quite enamored with the pigeons that are all over Venice. They fed them and chased them and it was clear that they do not share their grandmother’s (my mother’s) fear of birds. 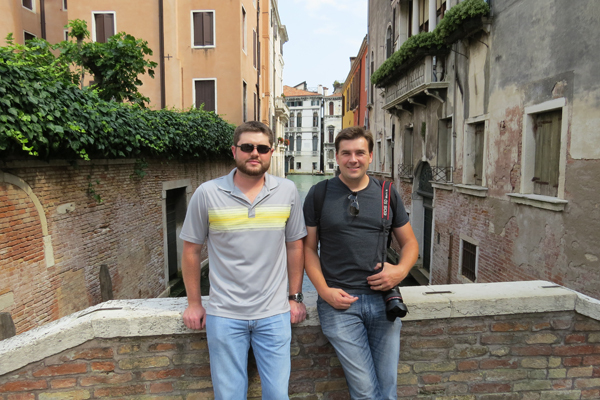 Mat and I did our best to avoid the birds but we were strafed more than a few times. As the afternoon sun was beating down on our backs, our early morning was starting to catch up with us. Not wanting to face the crowded Vaparetto again, Mat suggested that we hail a water taxi. 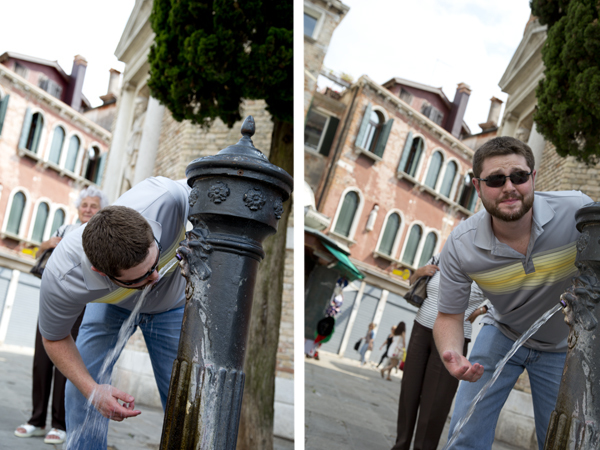 It was one of the best parts of our Venice tour. 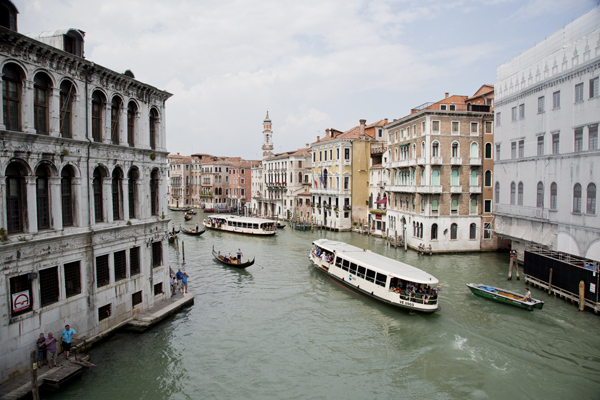 The taxi transported us through the narrow waterways of Venice and down the Grand Canal to our parking structure. Or at least, we thought that was where we were going. Our taxi driver ended up dropping us off at an entirely different parking structure than where we had parked. 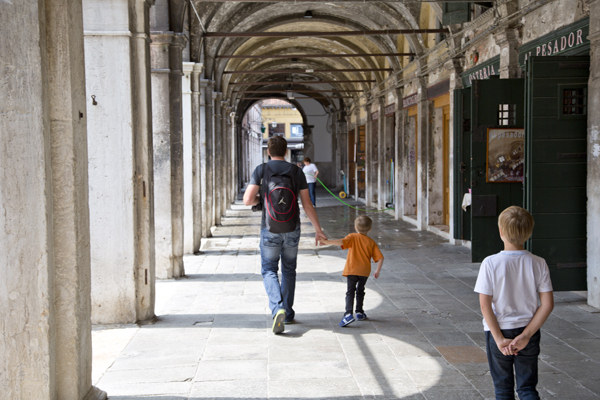 We were forced to walk quite a long distance with little boys too tired to walk any further and who suddenly had full bladders that were in desperate need of being emptied (and of course, there were absolutely no bathrooms nearby). 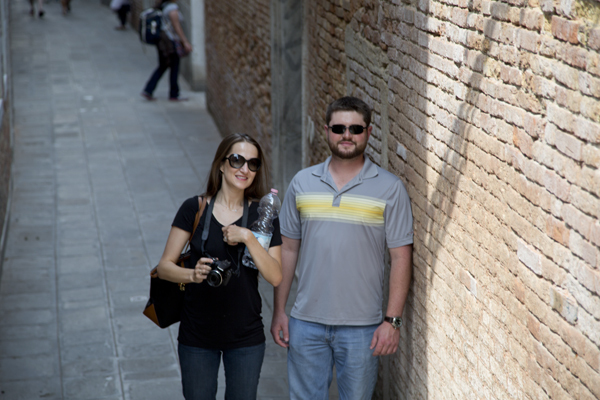 We walked (and walked, and walked and walked) back to our car and drove away from Venice to our hotel. 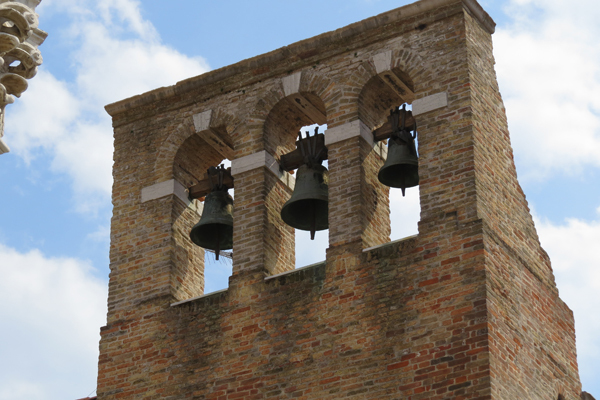 We stayed at the Grande Plaza Venice East which is located just outside of Venice in the town of Mestre and which I cannot recommend highly enough. The staff is friendly and efficient and the hotel is clean and comfortable. We arrived at the hotel just as rain started pouring from the sky (it had been an otherwise clear day) and we were all in bed and asleep before the sun went down. 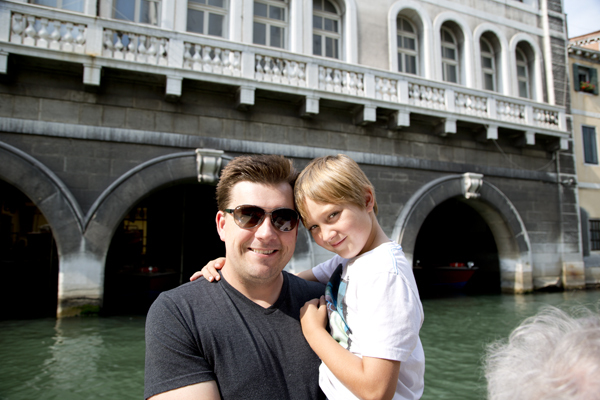 David and our oldest on the water taxi. Me on the water taxi and the view from the back of the boat. My boys found a nice resting spot on a dock. I hope that you’re having a happy Tuesday!